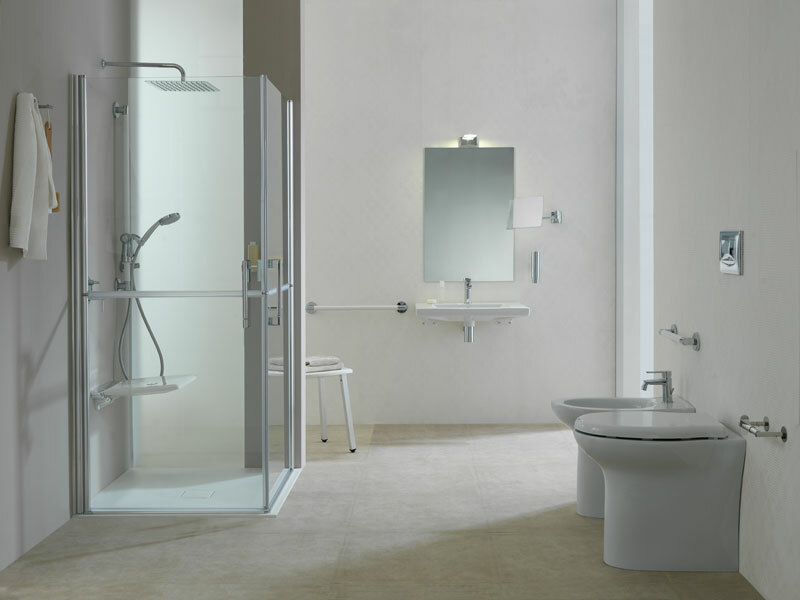 Scutigliani, Sales director at Ponte Giulio, "a project that is tailored to customer needs has proved successful". 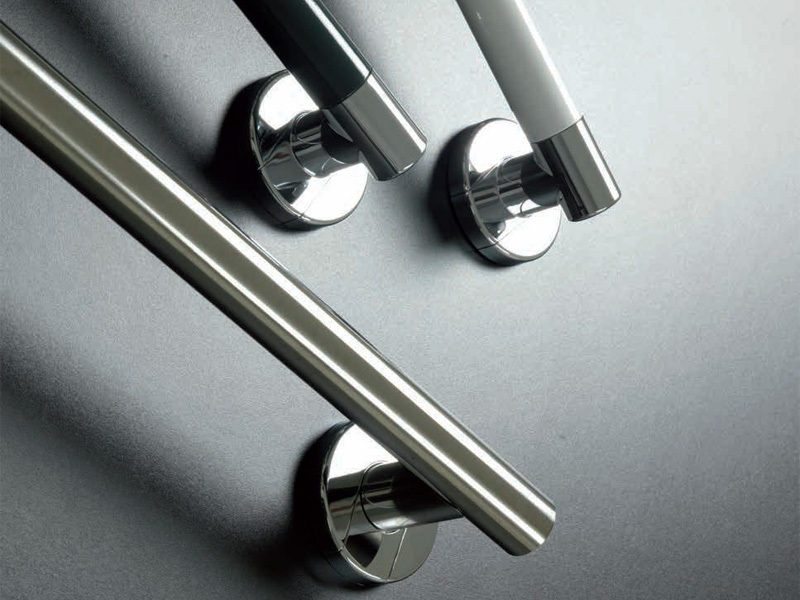 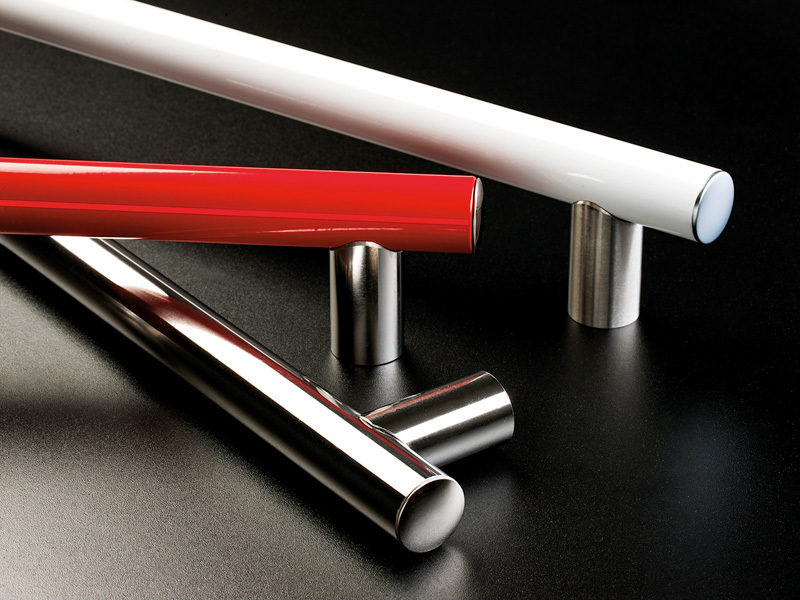 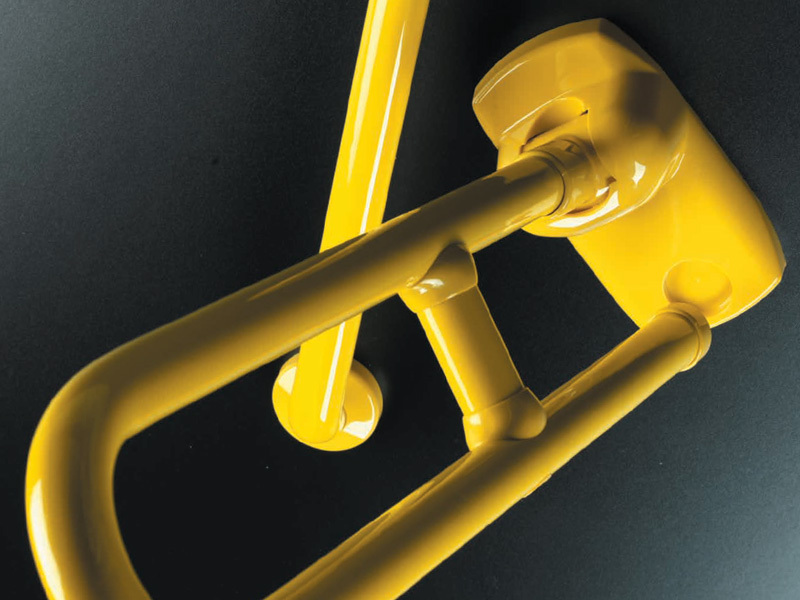 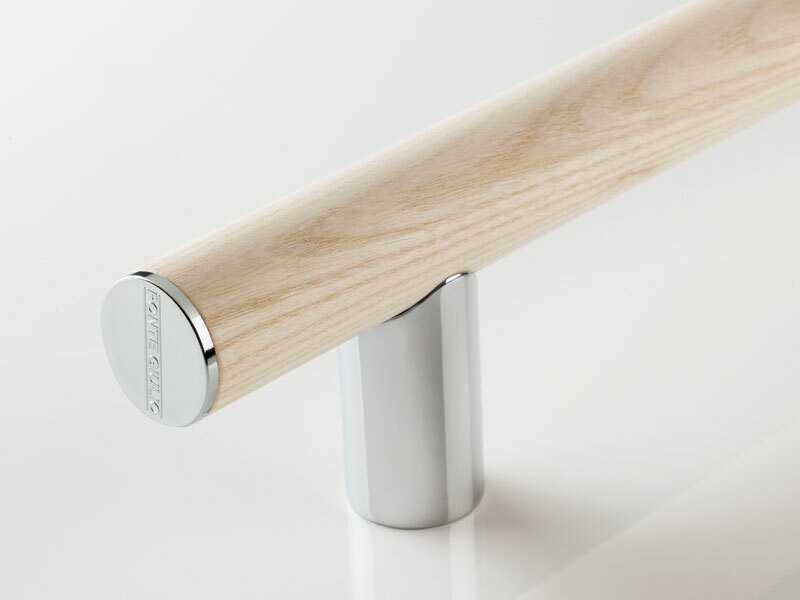 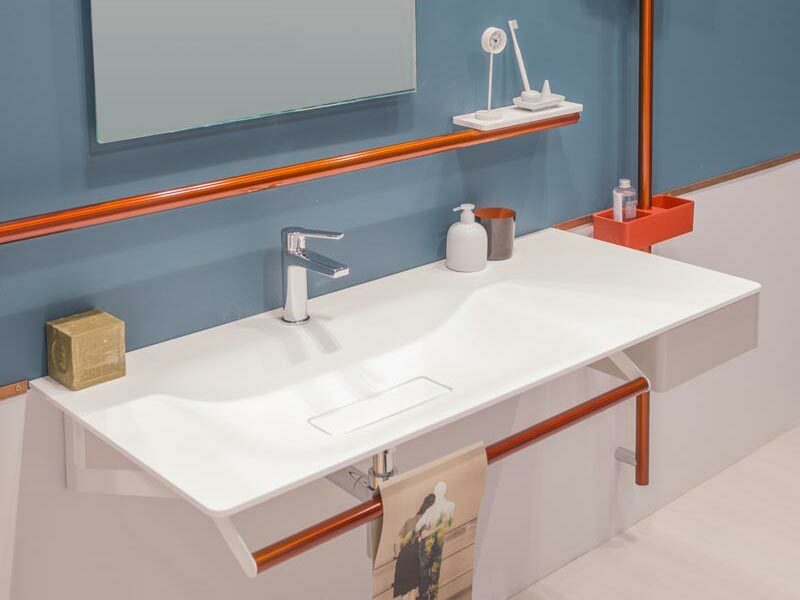 In addition to a significant increase in colour tones, wooden grab bars are coming soon. 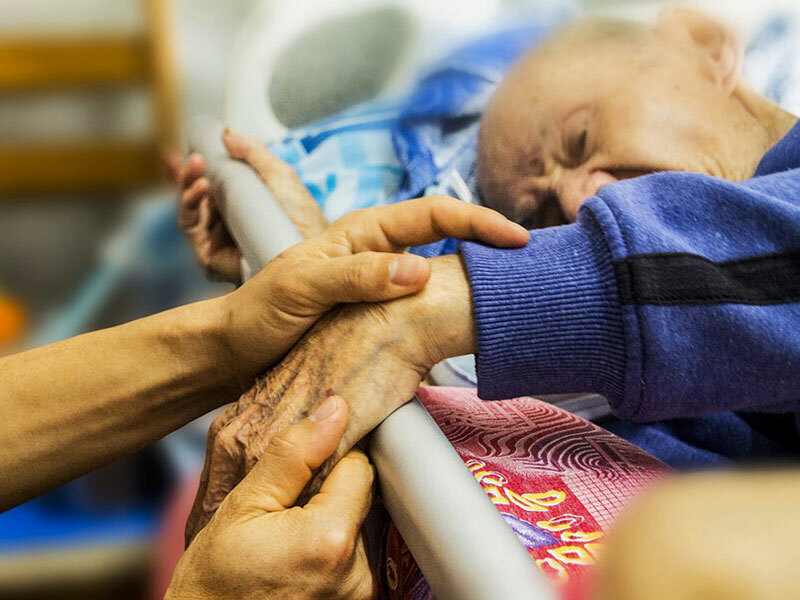 "We consider this donation particularly important," says Enrico Carloni, CEO of Ponte Giulio. 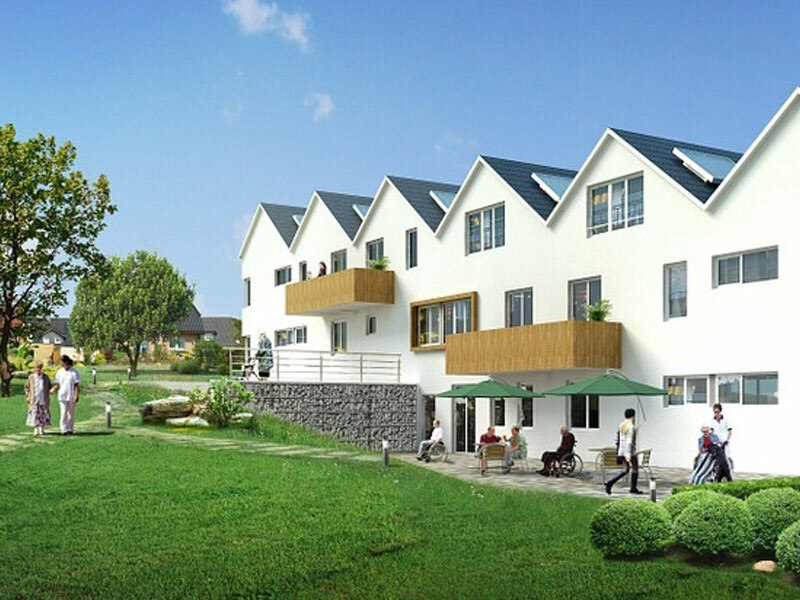 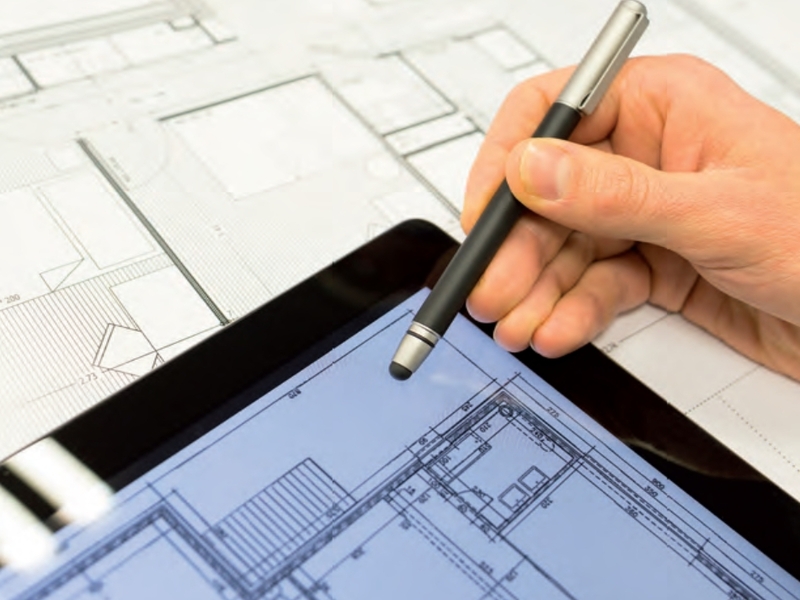 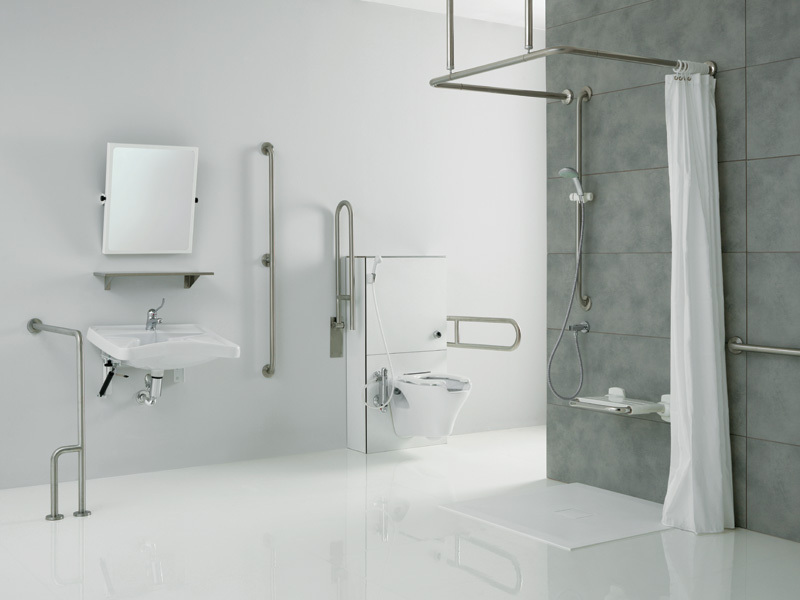 Hospitals and nursing homes need suitable places to accommodate the elderly and disabled people. 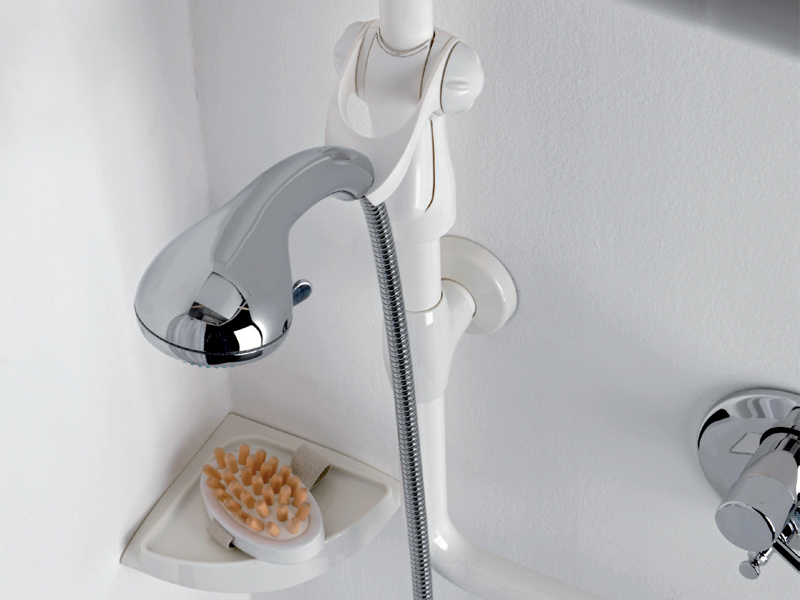 Suitable accessories and equipment make the little ones independent while using the bathroom. 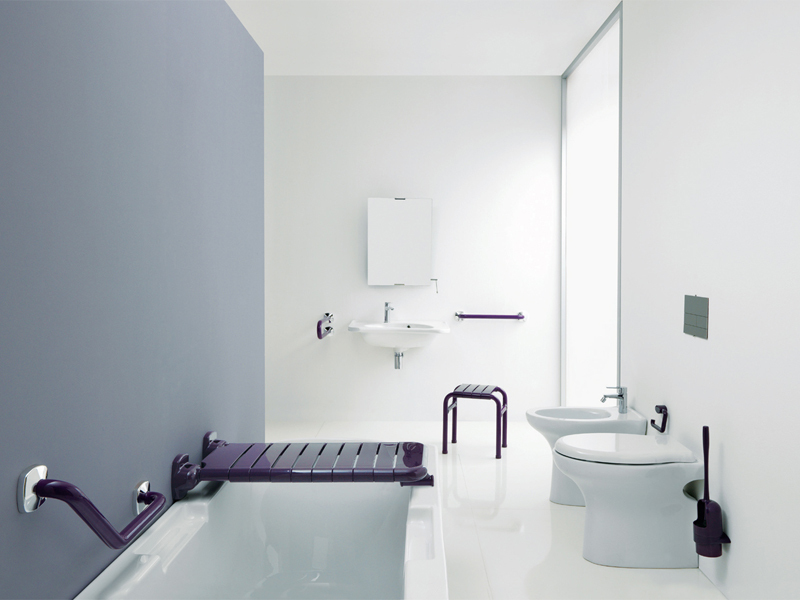 The right and correctly installed furniture and accessories are fundamental to provide totally accessible areas. 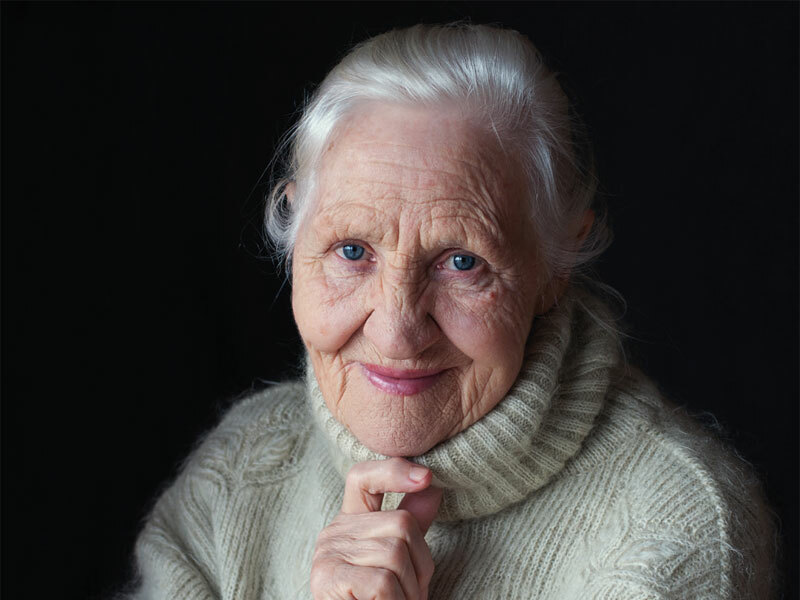 According to the Telegraph, the number of centenarians is projected to rise nearly six-fold, from 14,000 in 2014 to 83,000 in 2039. 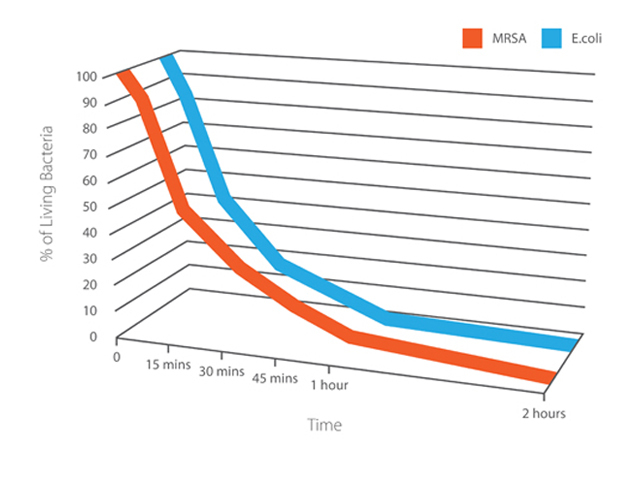 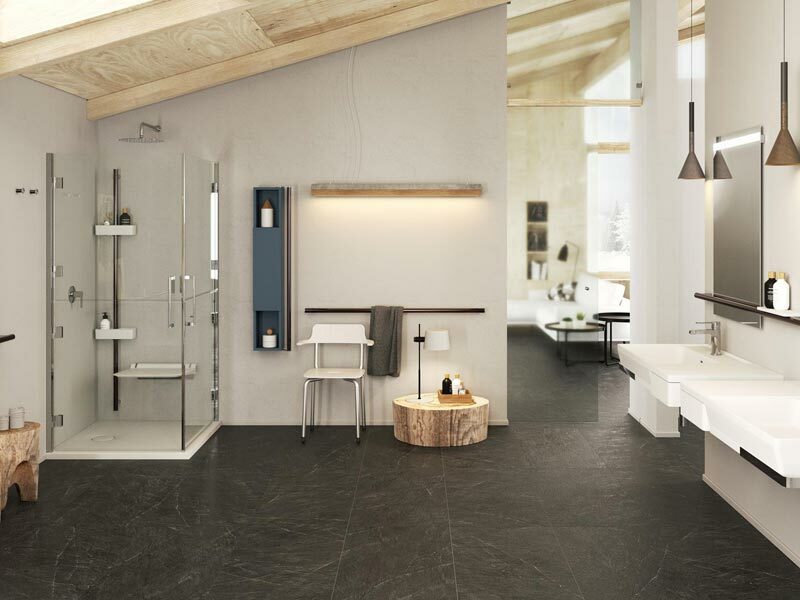 Mineral Composite: here’s why we chose to use this beautiful, versatile and eco-friendly material. 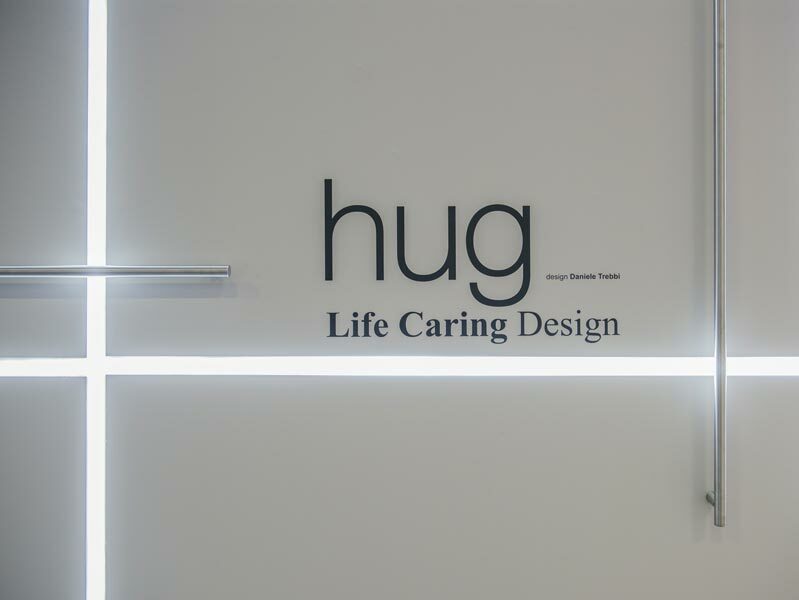 Mineral Composite has been chosen by our design experts as the material of choice for our latest collection launch, HUG. 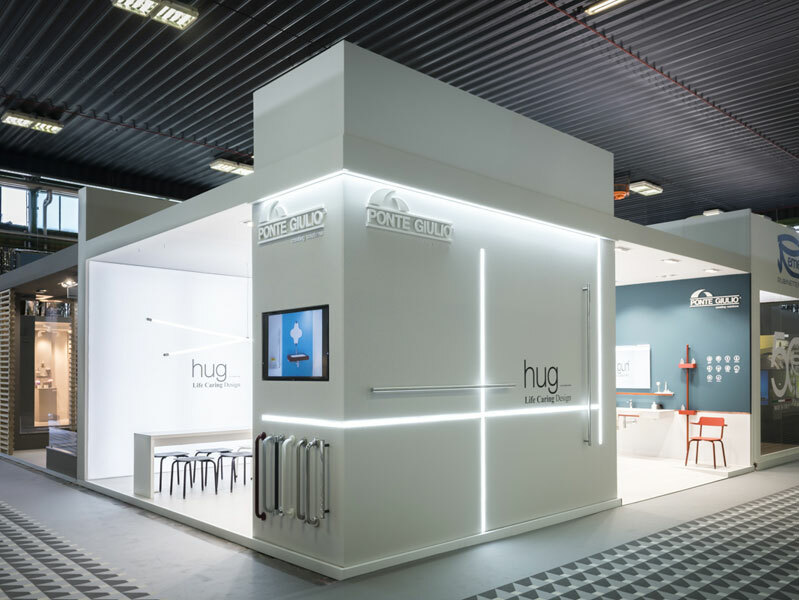 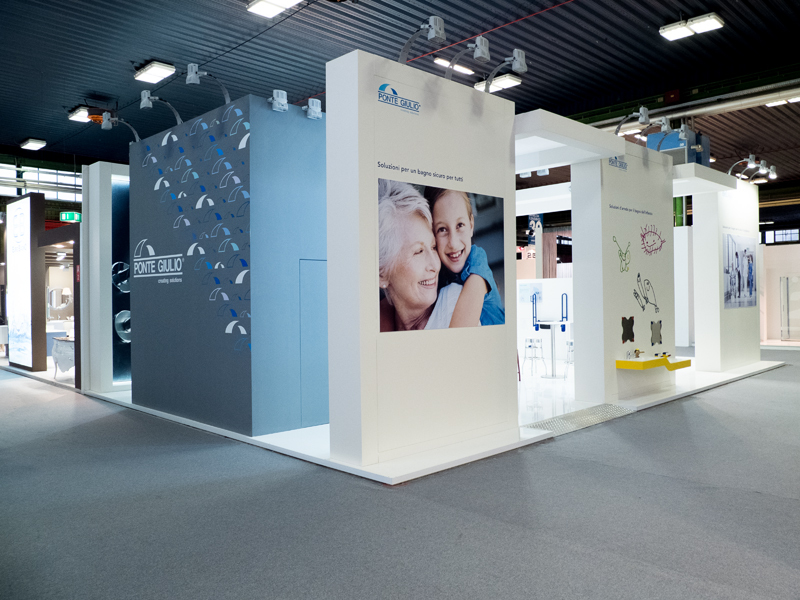 Customers embrace new HUG furnishing system at Cersaie. 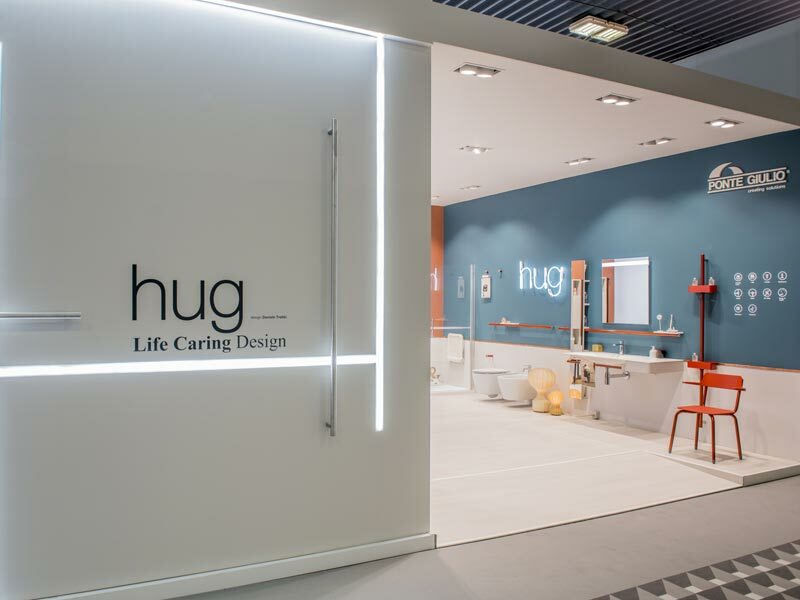 HUG LIFE CARING DESIGN, THE BATHROOM SPACE SEEN THROUGH NEW EYES! 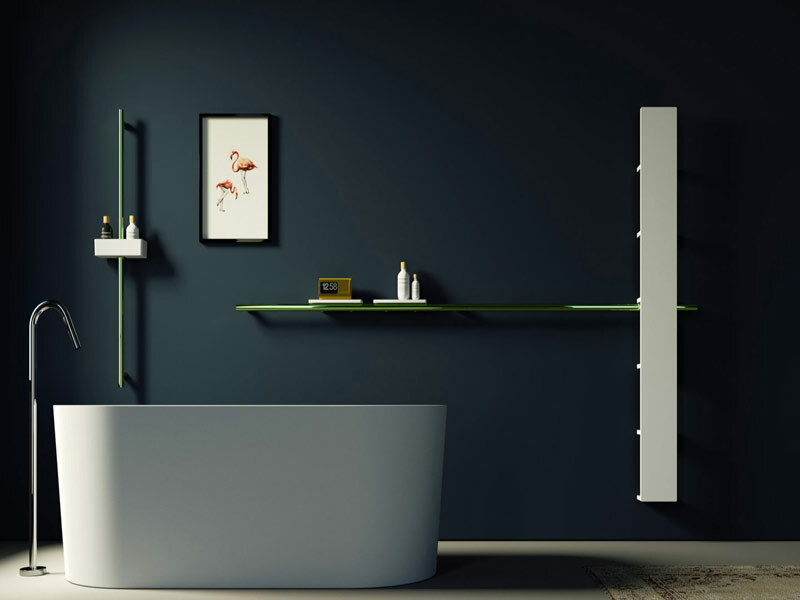 We have created an innovative furnishing system with the desire to share values linked to the intimate side and care of oneself and the others. 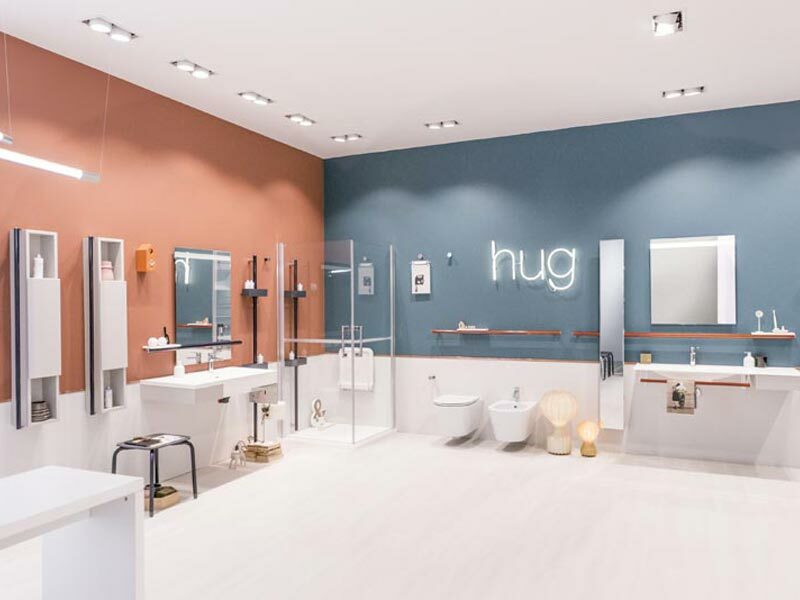 Huge success at Cersaie for "hug"
Ponte Giulio’s new furnishing system, "hug", has received a great response from retailers and industry professionals. 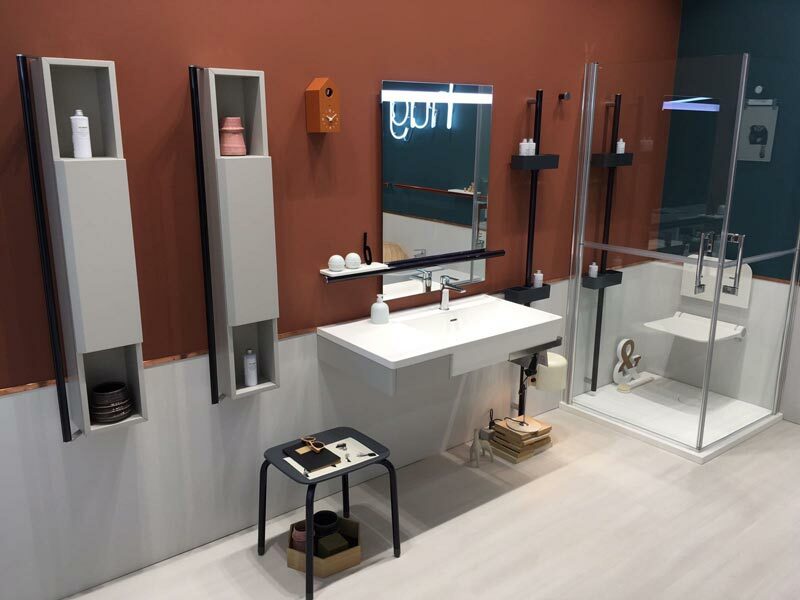 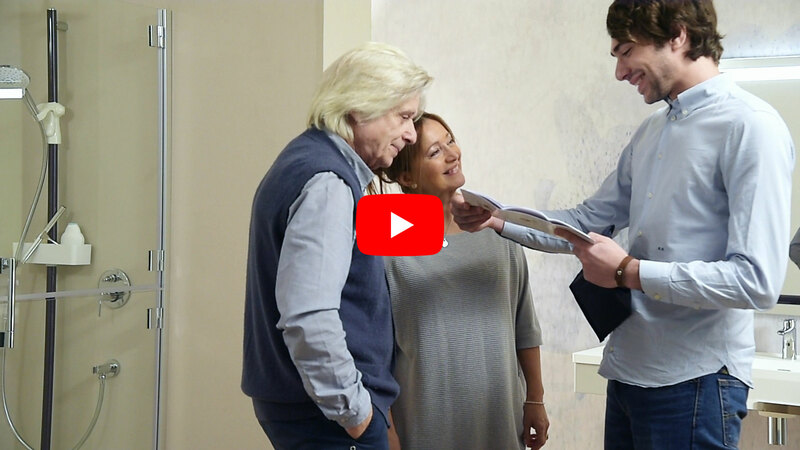 Leading Italian bathroom solutions manufacturer Ponte Giulio’s UK HQ has detailed its marketing strategy for 2017, revealing plans for future collaborations with architects. 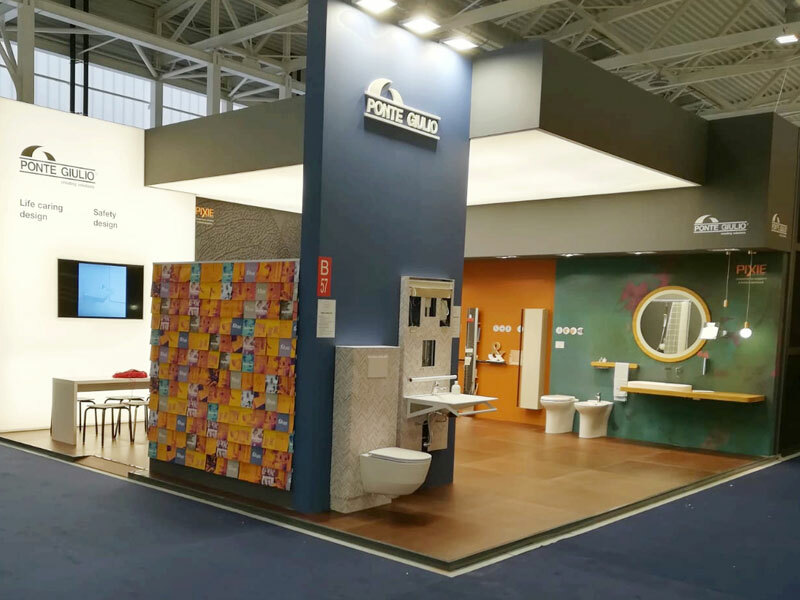 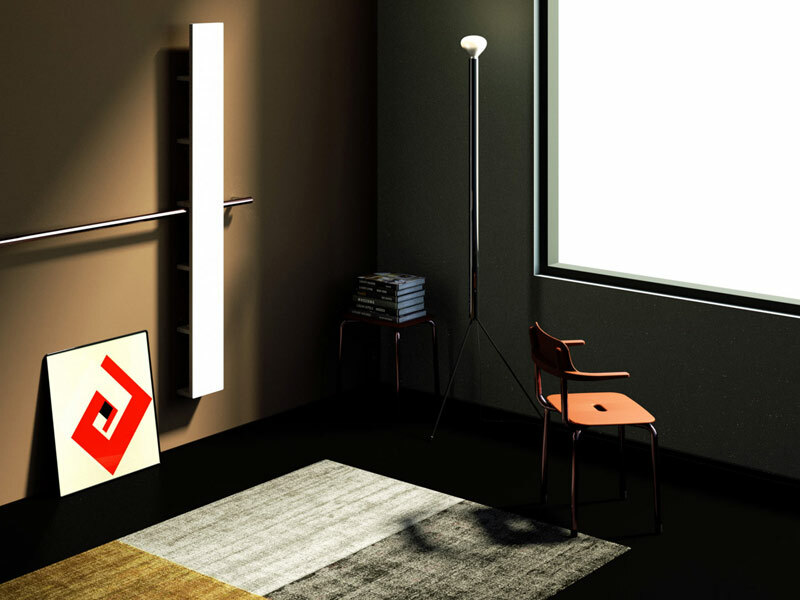 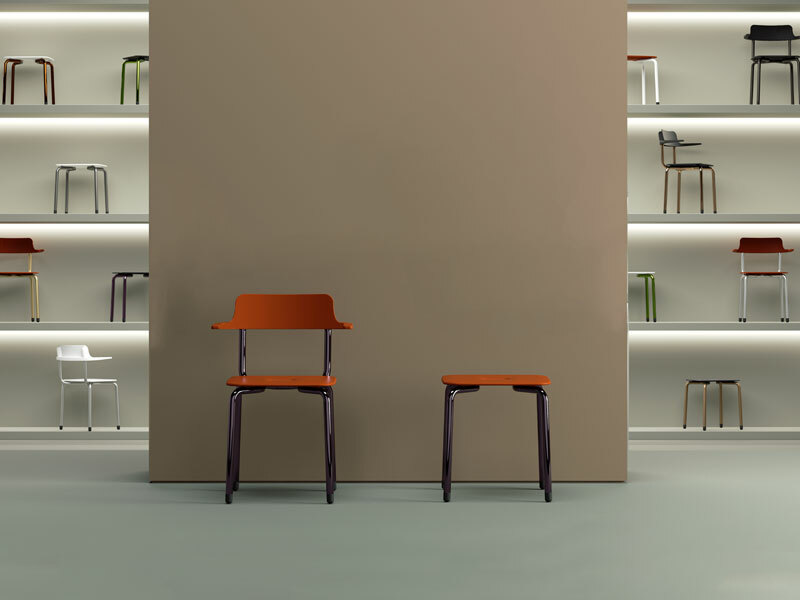 The two products are characterized with a personal style and technical and stylistic innovation, making them suitable for both private and professional use. 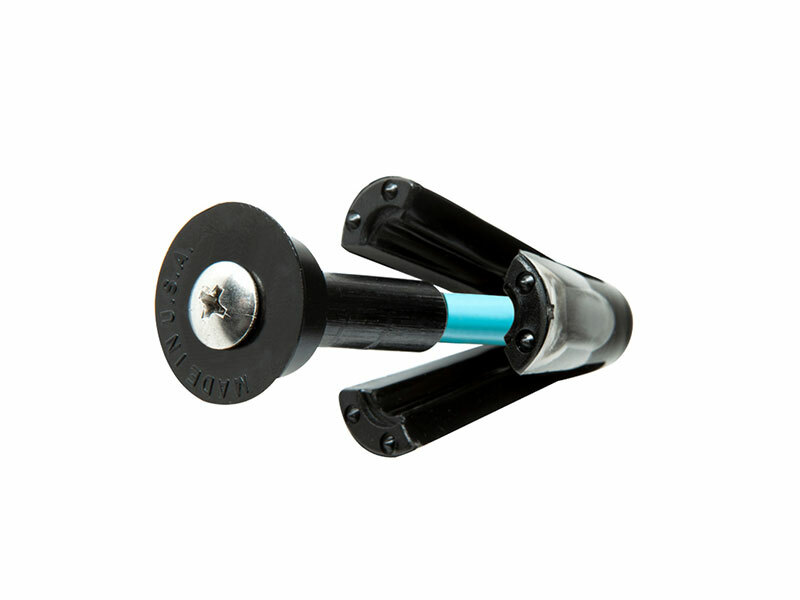 Despite the reduced sizes this kind of grab rails may guarantee a high strength and a reliable grip. 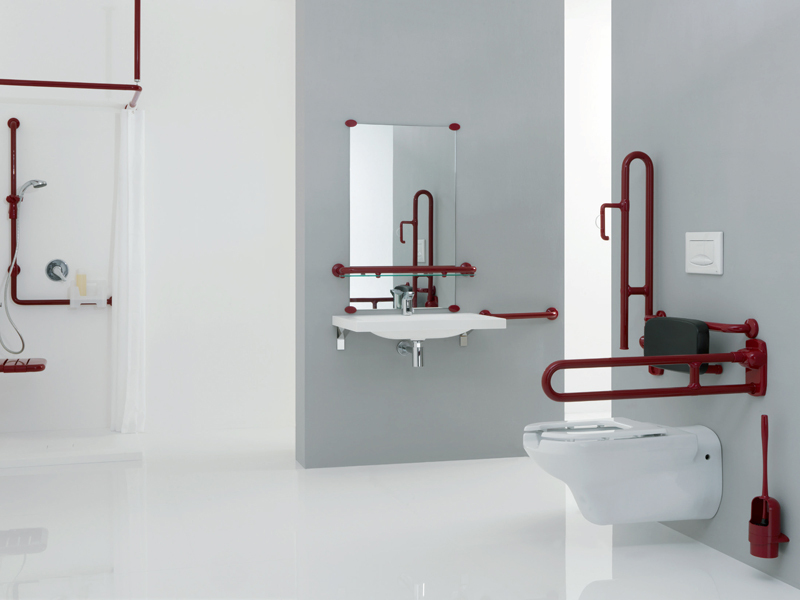 A new line of rimless toilets, designed with a completely closed and connected body shape to allow flush to wall installation and concealed fixings. 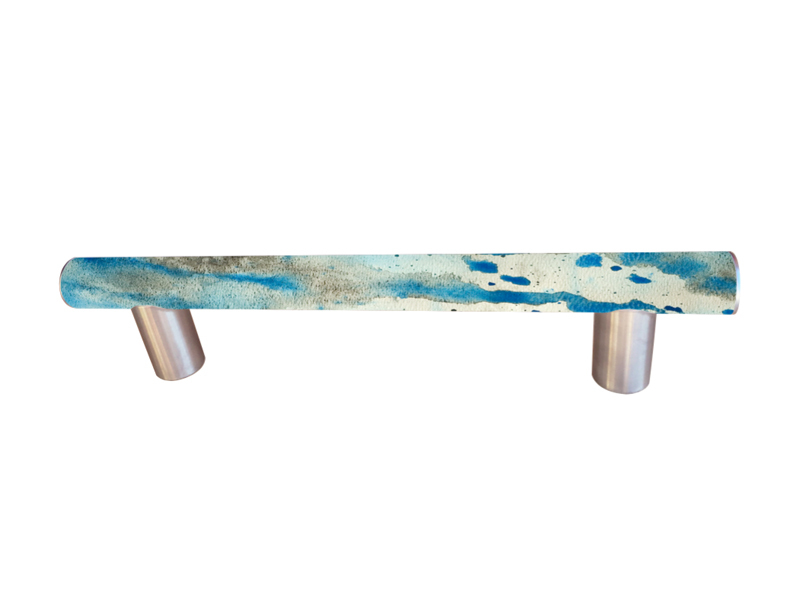 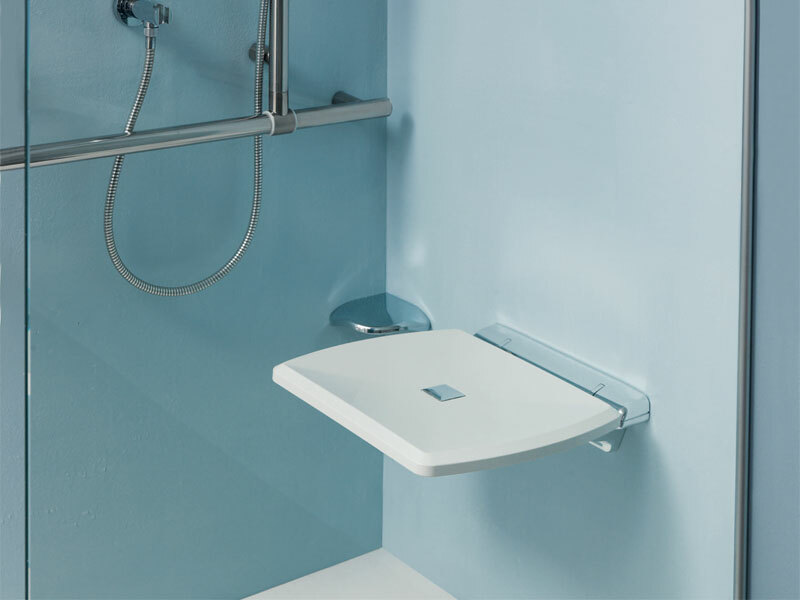 The folding safety arm rest bar is a practical and safe support inside the bathroom. 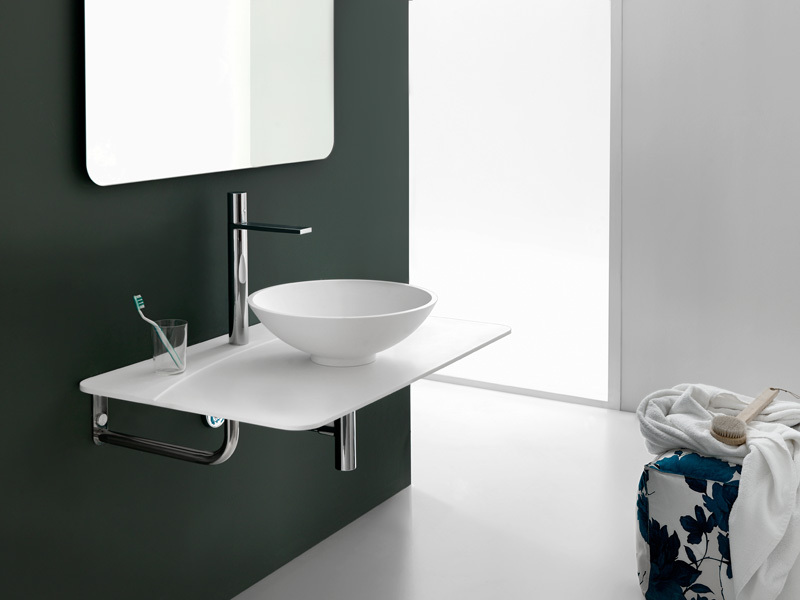 A sleek and elegant design. 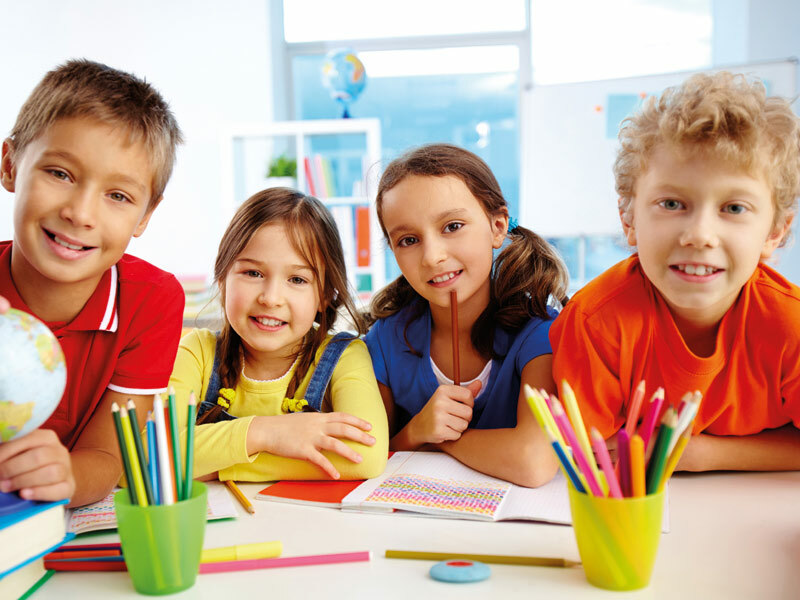 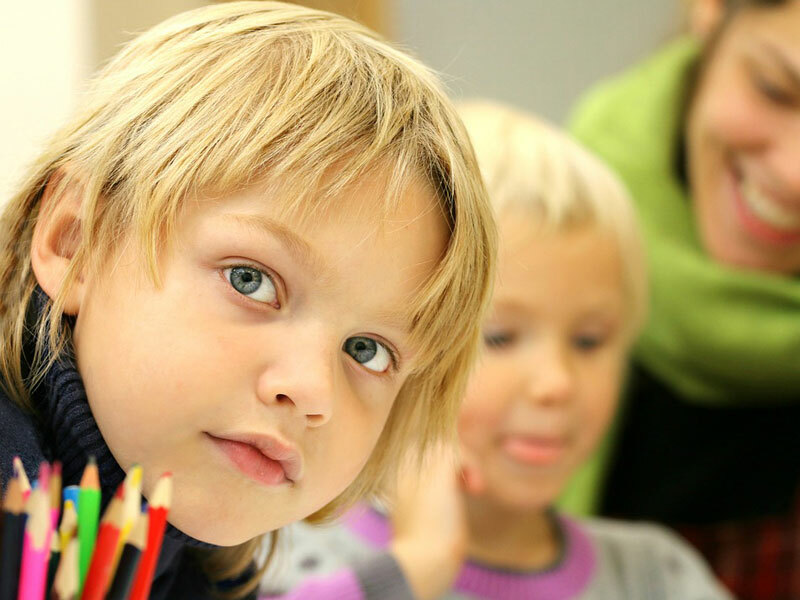 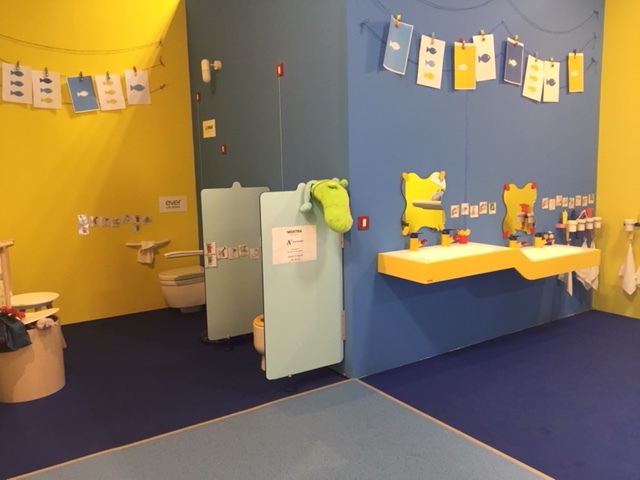 Specific products addressed to children environments. 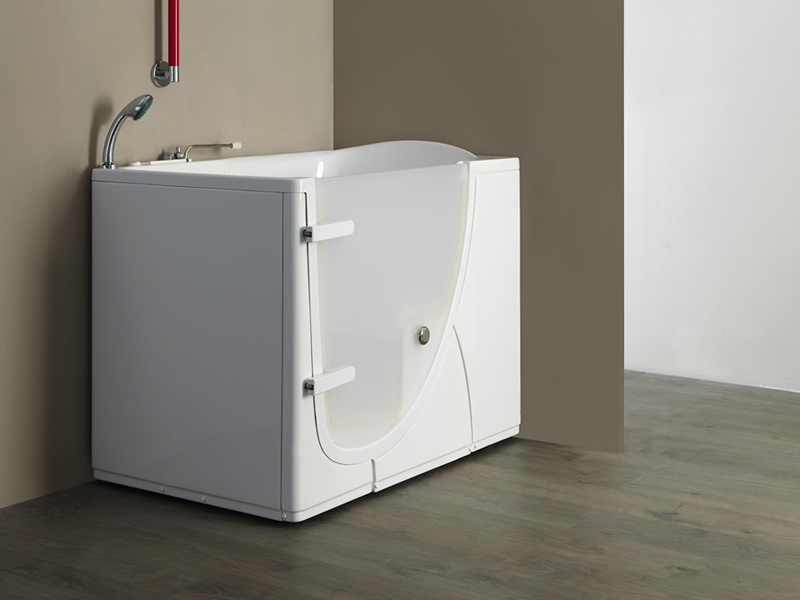 A side opening tub can be used by sitting comfortably. 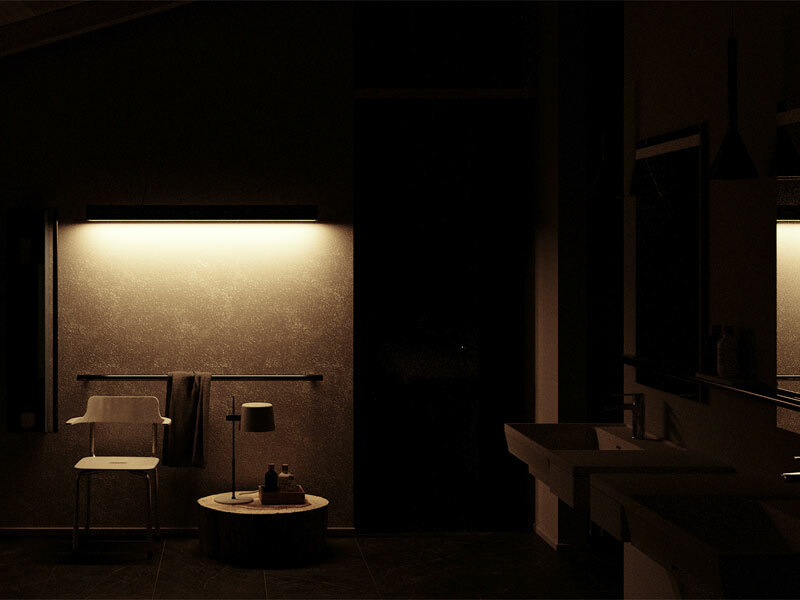 Intimacy is granted and risk of fall is avoided. 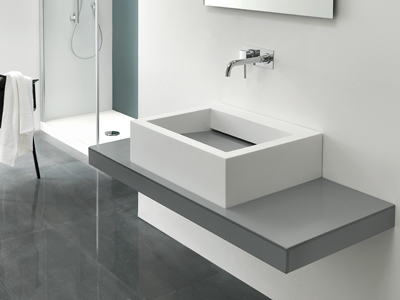 Articles in acrylic stone for whatever bathroom, public or private. 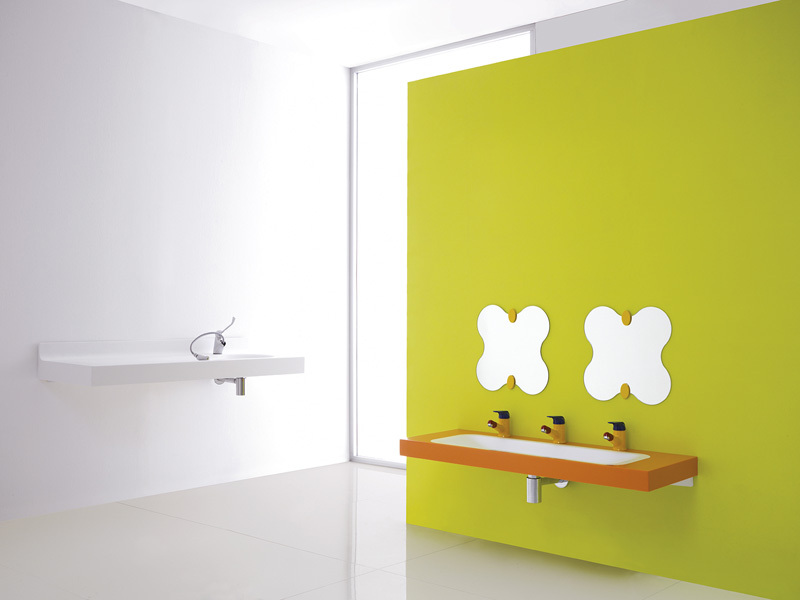 A safe and functional washbasin area, thanks to a practical stool, which makes using the washbasin by oneself easier and safer. 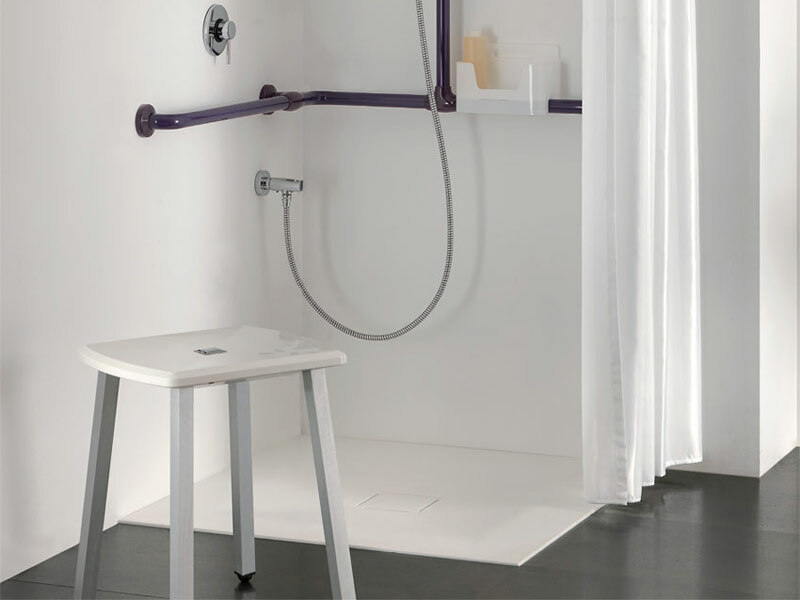 A safe and functional shower area thanks to the use of a practical stool, which allows the shower to be used in complete safety. 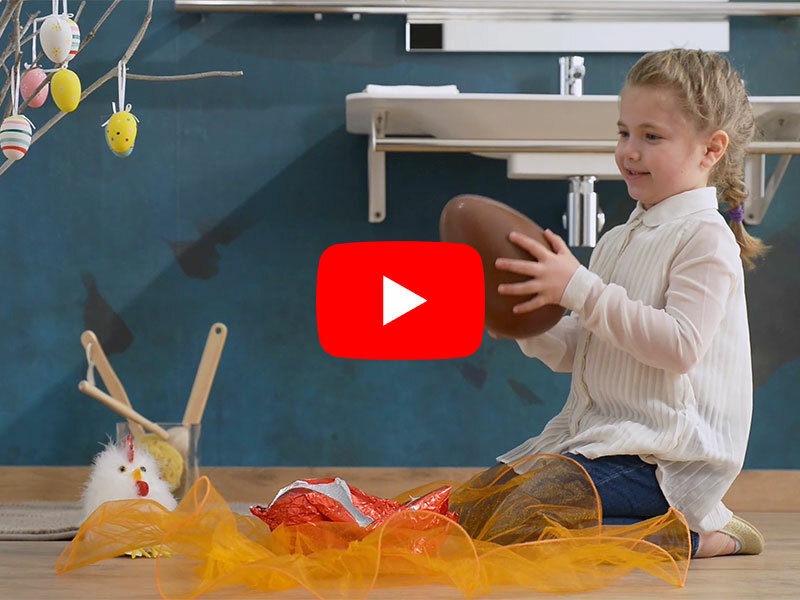 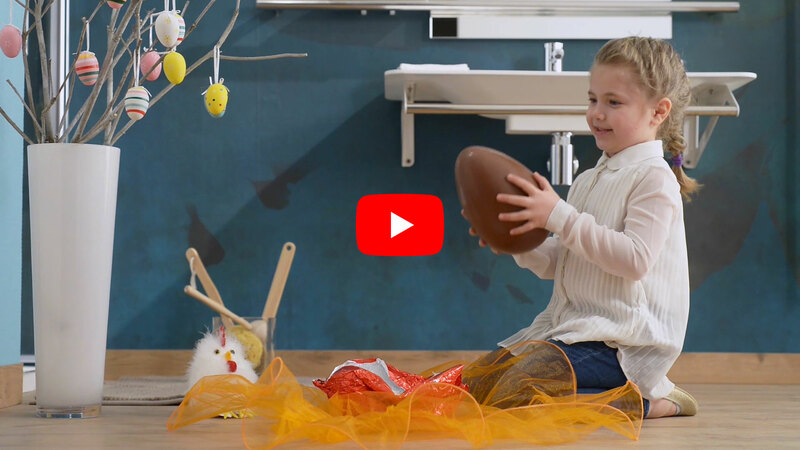 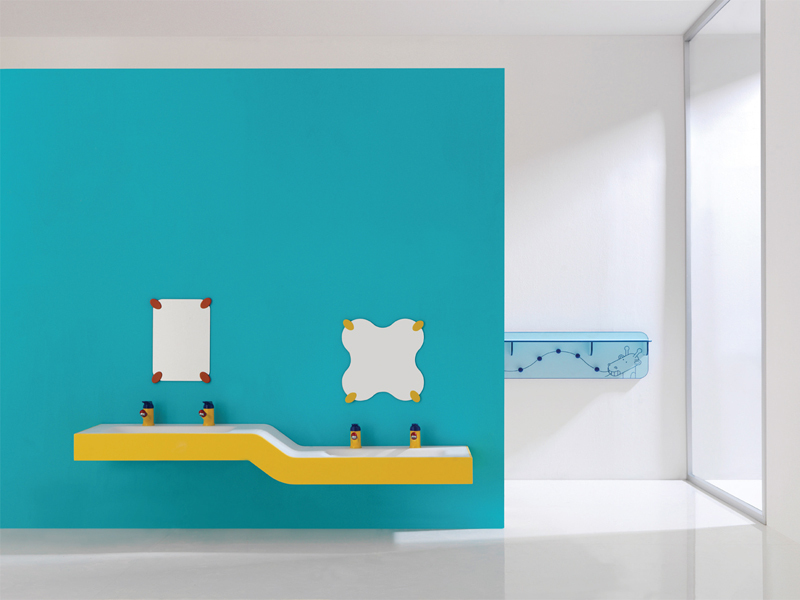 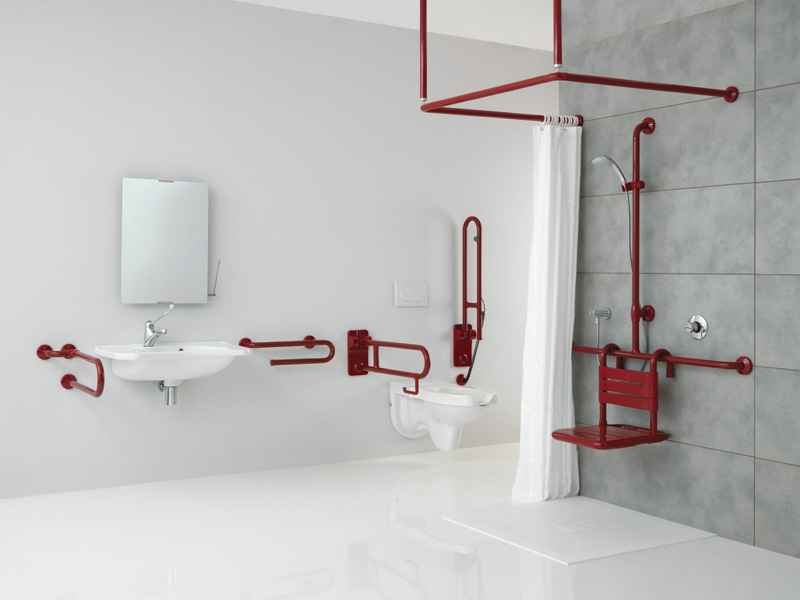 Inclusive bathroom projects that allow the development of products for everybody, no matter the age or physical ability. 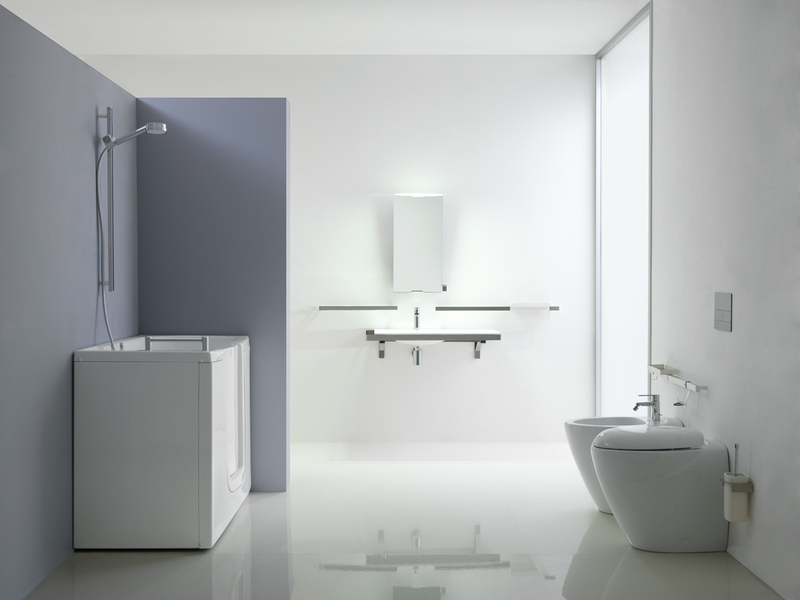 Projects that include accessories, sanitary ware, side opening tubs and grab rails. 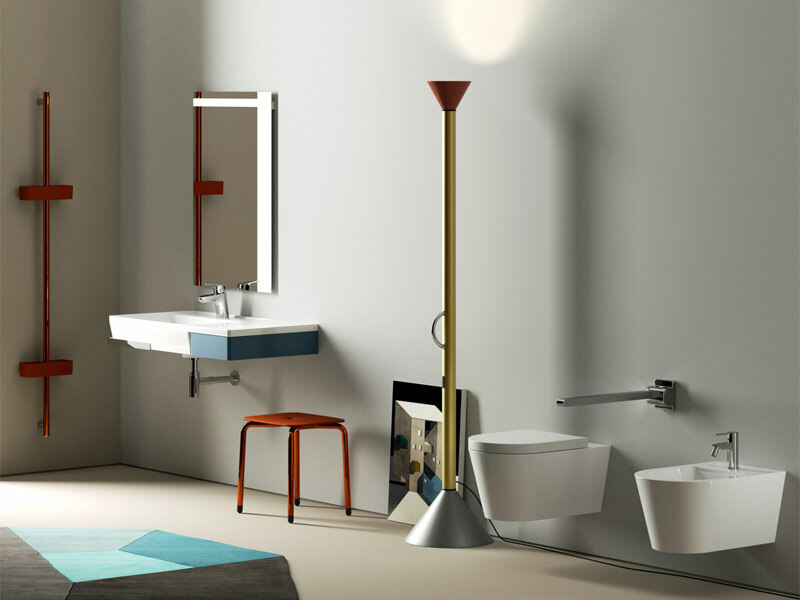 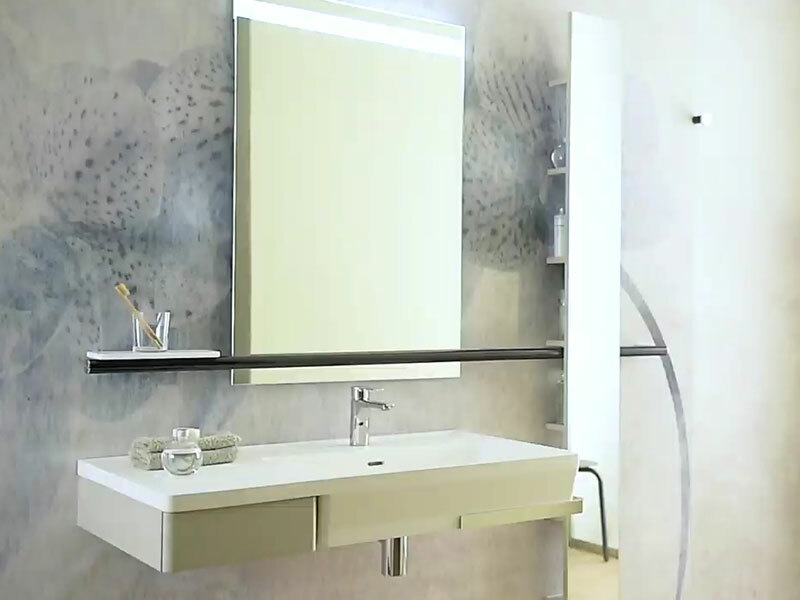 Ergonomic tray with accessories of collection "Family"
Ponte Giulio proposes this ergonomic console for the washbasin area. 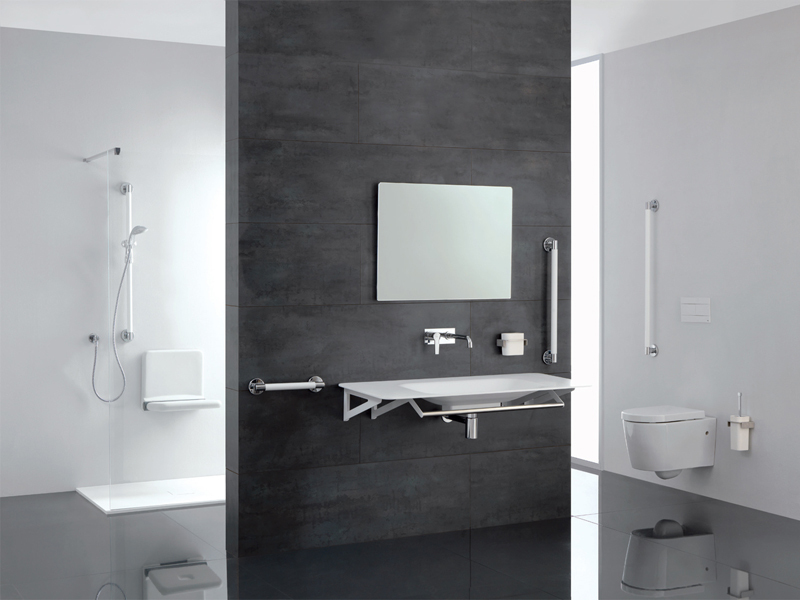 It comes equipped with bespoke rails and fittings offering strong grip for those with motion difficulties in addition to being a great solution for the bathroom’s overall decoration. 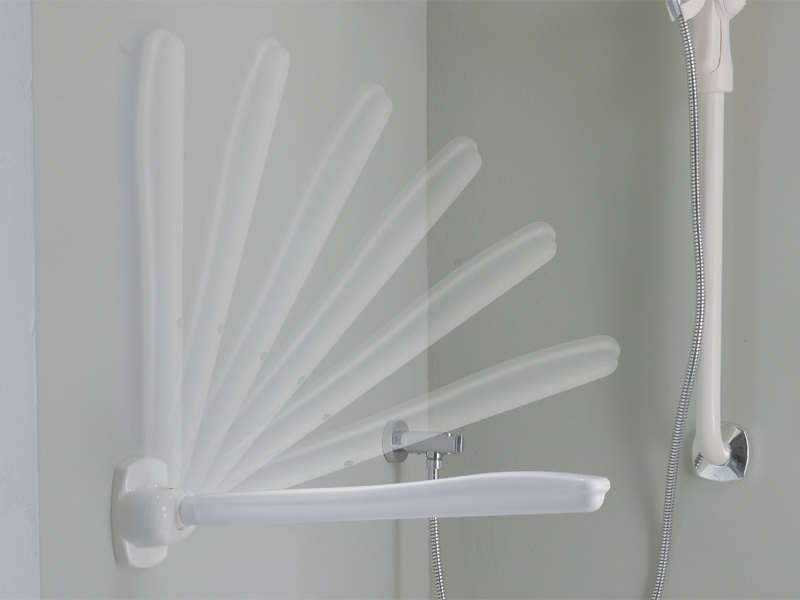 Shower trays, shower seats, shower enclosures, grab rails and accessories avoid permanently any risk in the shower area. 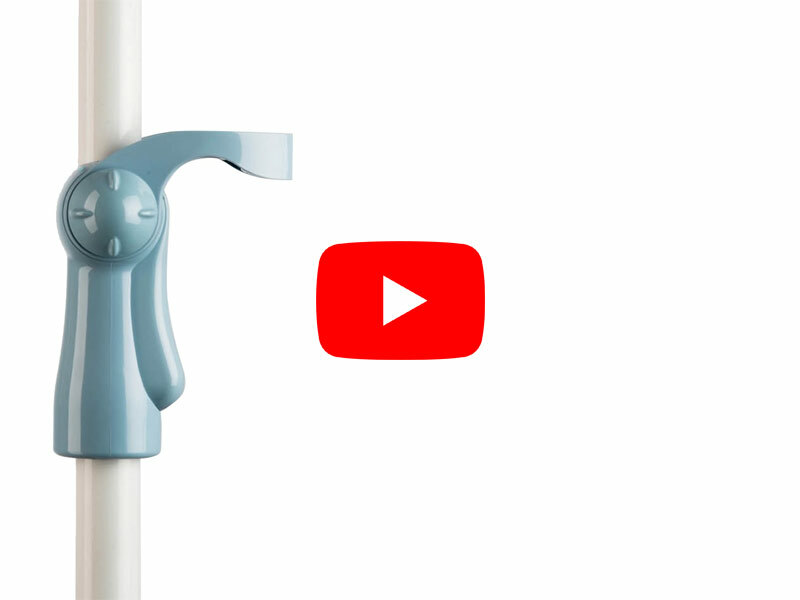 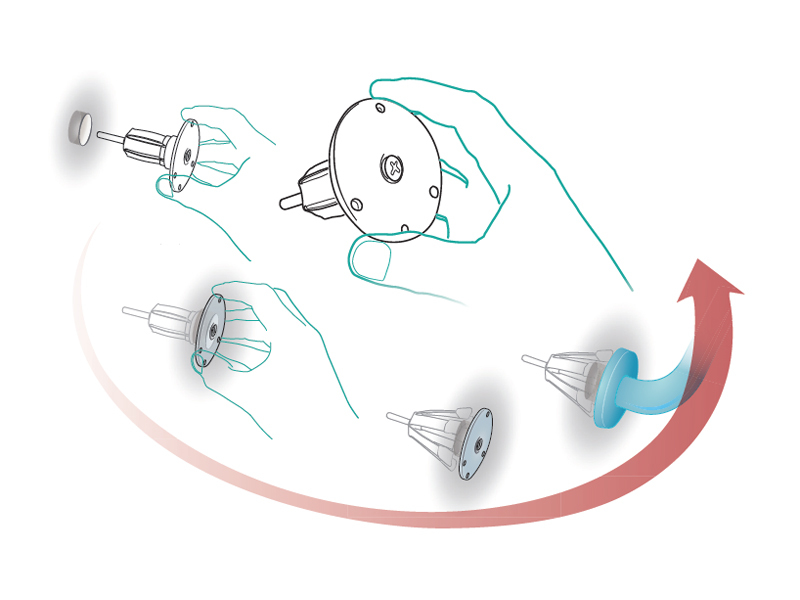 This solution is also very handy to help an aged person or a child shower. 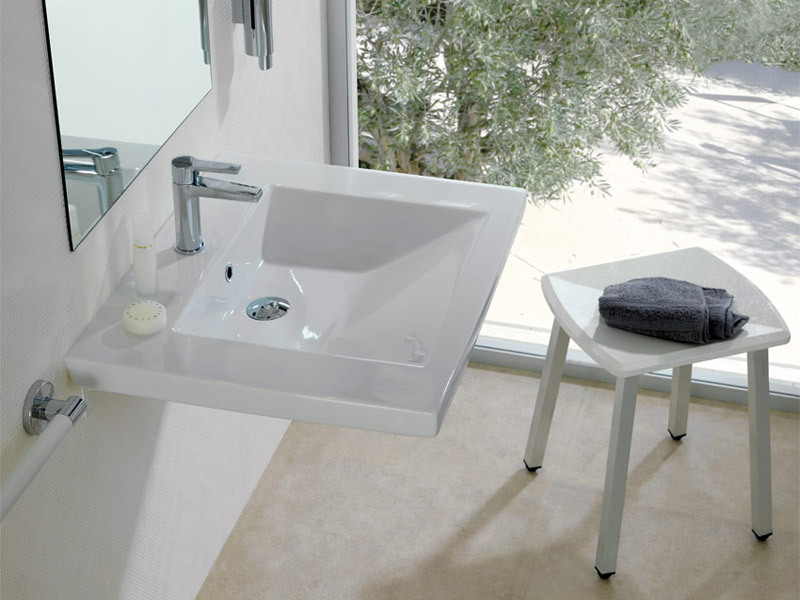 The bathtub with inwards opening door is the ideal solution for space limited bathrooms. 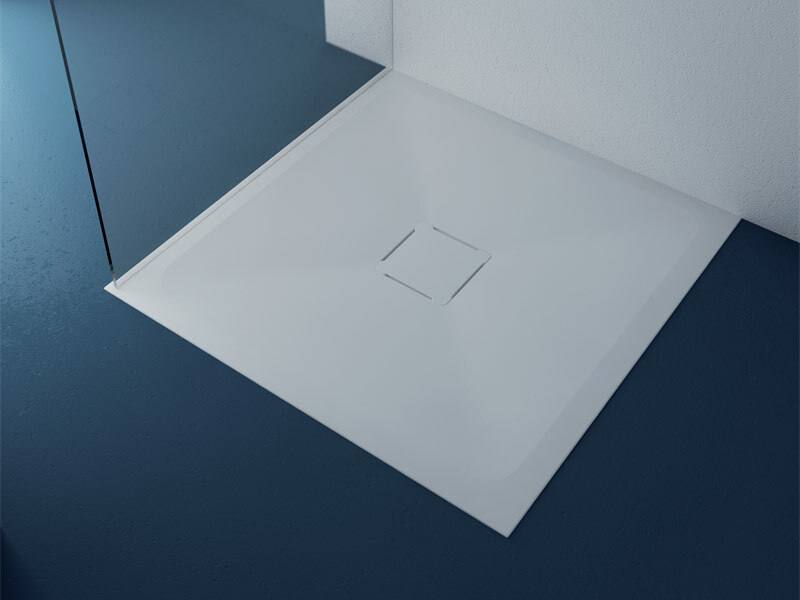 Its reduced depth allows for installation as replacement of a shower tray or old bathtub. 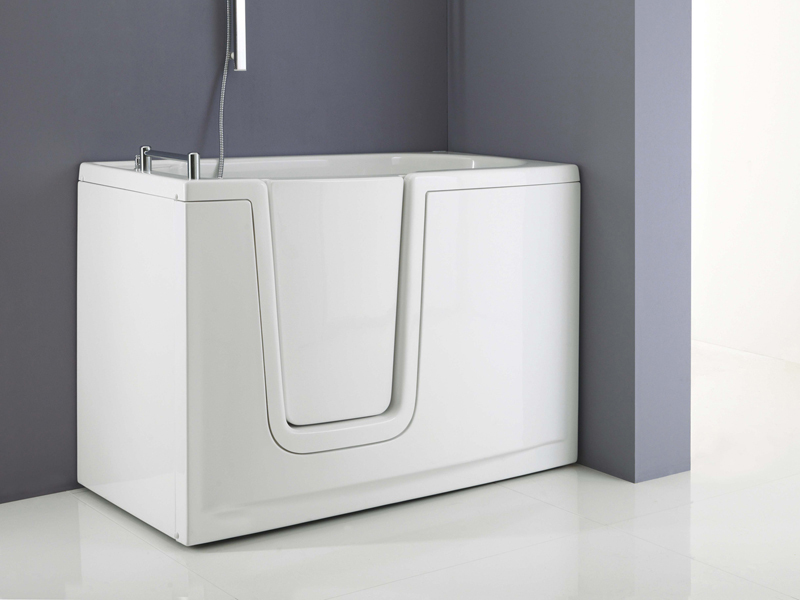 The bathtub with outwards opening door is particularly fit for broad people or for those with minor motion limits. 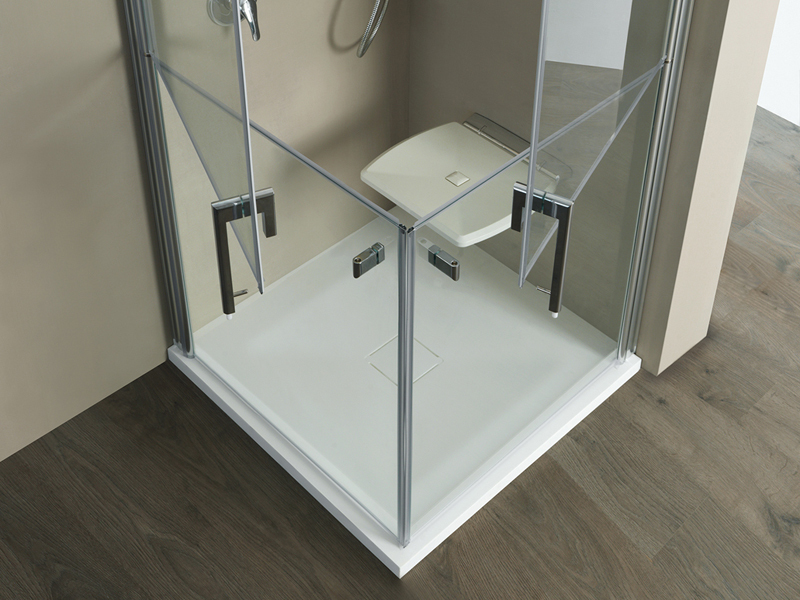 It guarantees safe bathing and plenty of space to move around inside it. 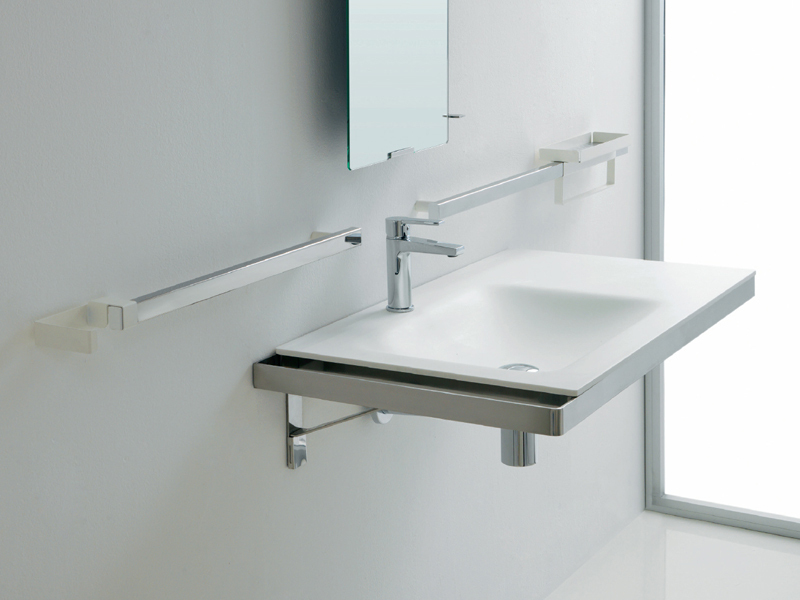 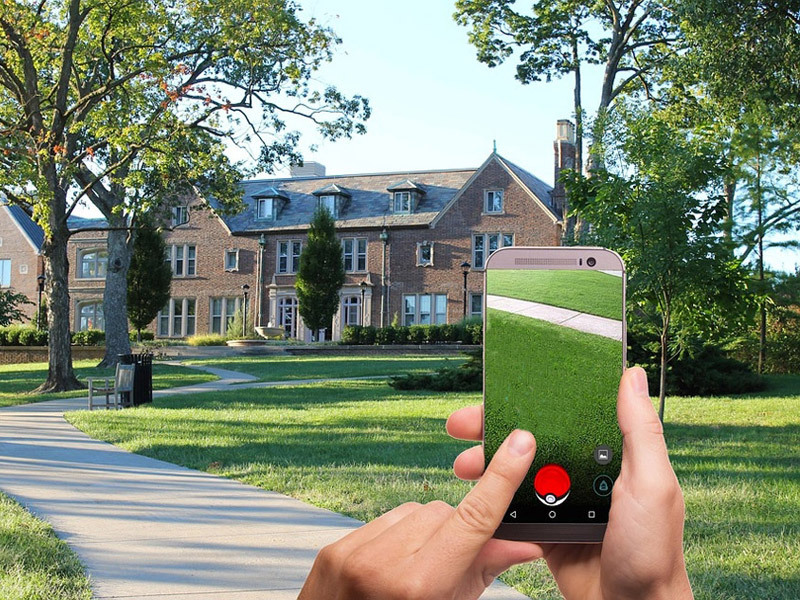 It comes with an integrated grab rail and other accessories. 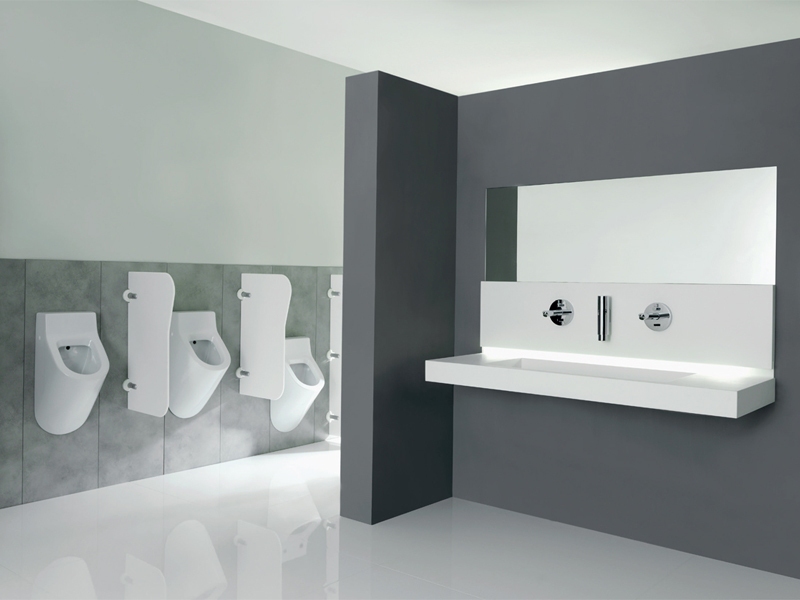 Safety in the bathroom is our mission. 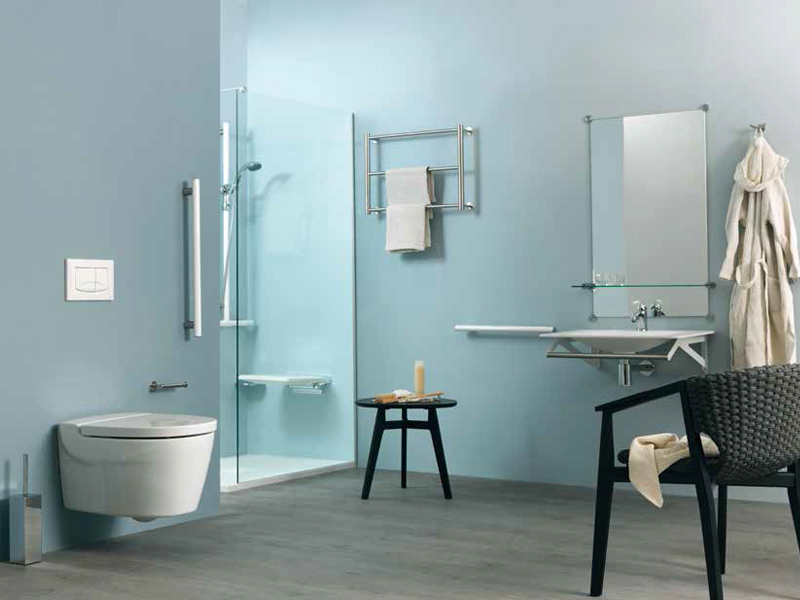 Using a barrier free and safe bathroom is the foundation of wellbeing. This seat allows the user to bathe safely. 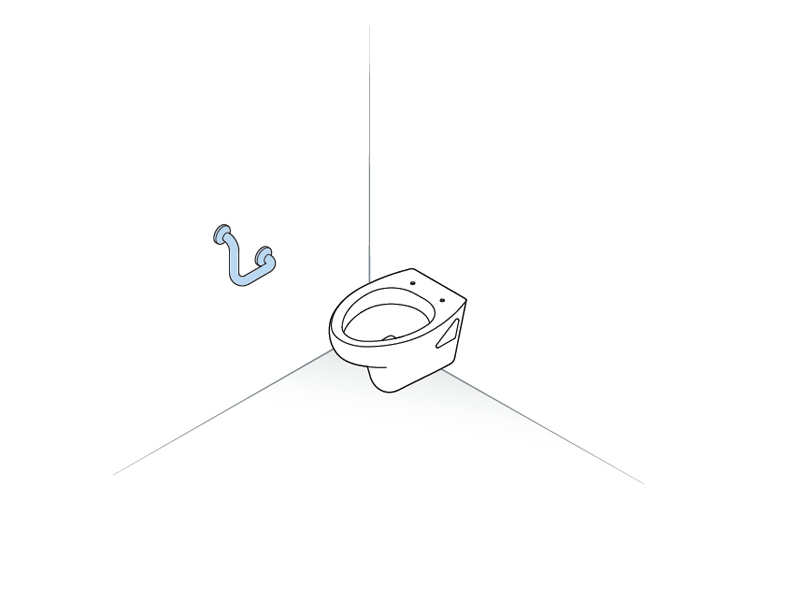 The access to the tub is eased and slipping avoided. 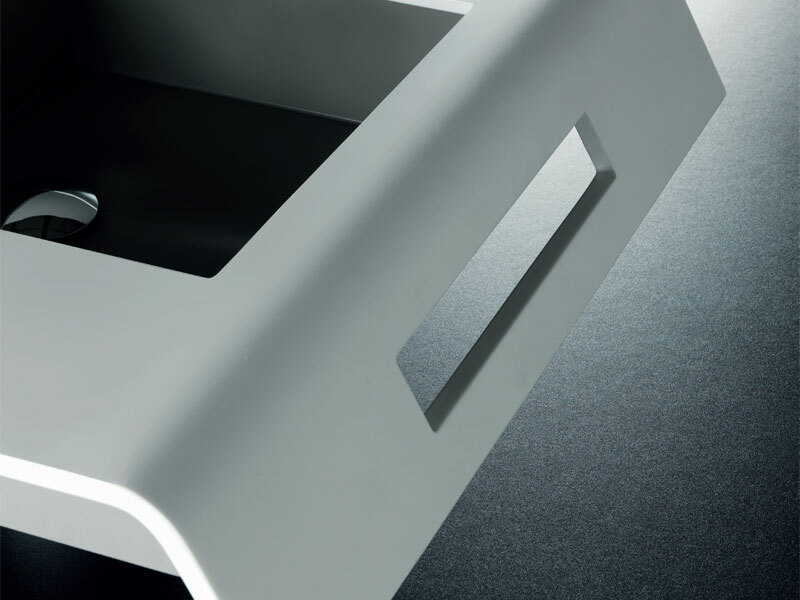 The folding function allows for greater space and easy cleaning. 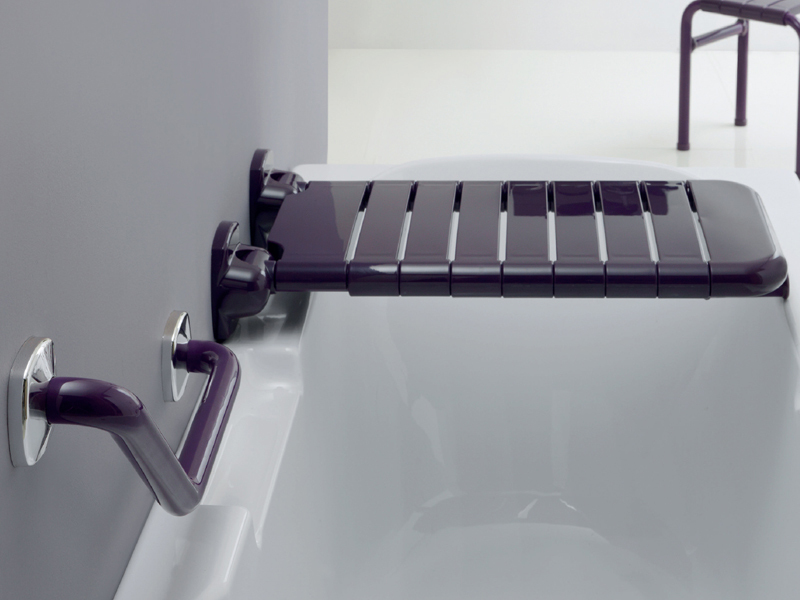 Thanks to this seat the tub’s edge is not a barrier.